One of the main purposes of Erie Yesterday is to foster collaboration among our member historical societies and museums. We do this through several county-wide educational initiatives, which include the DiscovERIE Passport, History Quest summer camp, Cache from the Past geocaching project and others. These projects enable Erie Yesterday’s membership to work together to encourage the study of local history, raise awareness of Erie County’s heritage sites and connect students of all ages to the past in meaningful ways. In addition to working collaboratively, each member organization maintains educational programs specific to their sites and collections. 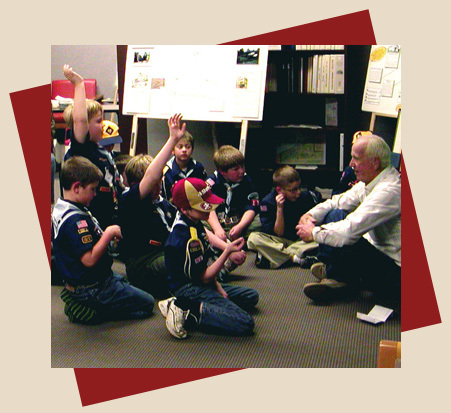 Programs offered by member historical societies and museums include on-site tours and outreach programs for youth and adults. To learn more about the educational programs offered by Our Members, please contact them directly. The Jefferson Educational Society is a relatively new educational resource. Formed in 2008, the Society maintains an active course and lecture schedule featuring many talented speakers. Program topics are diverse, and include American history, local history, contemporary environmental concerns, national and local political issues, civic and cultural affairs, and literature.